Size 21" L x 15" W x 27" H.
8 lb. bag of ice = 20-25 cones with 6 oz. of ice per cone. Cost per snow cone serving w/spoon straw = $0.28 + ice & machine rental. 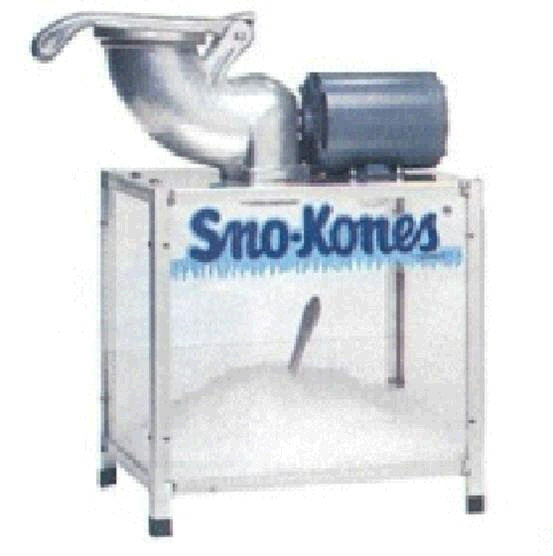 * Please call us for any questions on our snocone ice machine rentals in Ft. Wayne IN, Warsaw, Syracuse, Auburn, South Bend, Indianapolis IN.